You can't have a Minecraft themed bedroom without a couple of grass blocks but, mom doesn't like dirt in the bedroom. What to do? 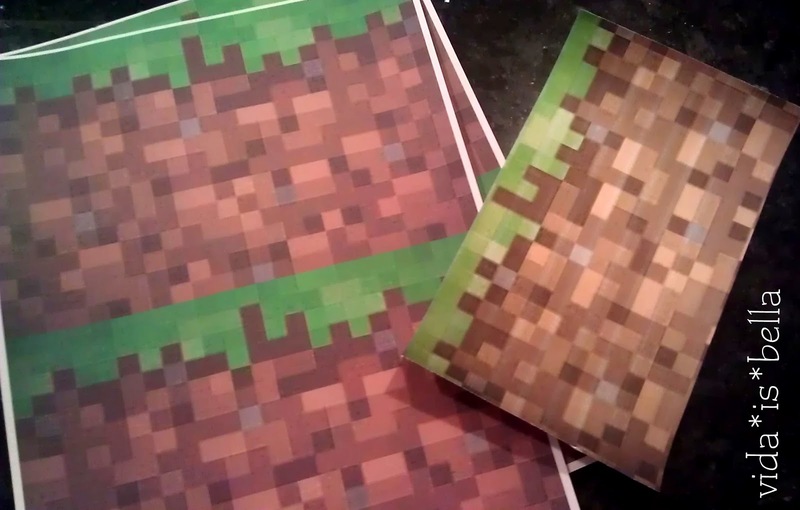 Print out pixelated grass graphic image (search Google or comment back for a printable PDF). 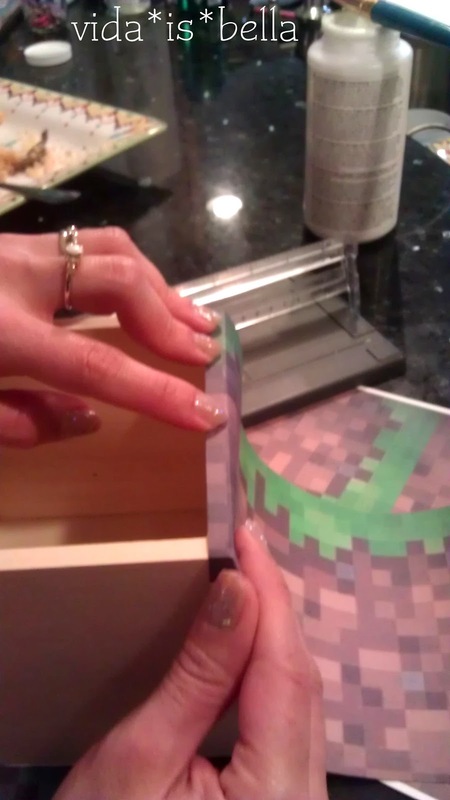 If you crease the edges it will be easier to cut the right size. Don't forget the front edges. Next, we painted the inside of the cube using Americana wood paint. I would love to have the printable if possible or a link to where you found them. I have been trying to find just the texture pages to print out and all I can find are small, foldables. Thanks - ecarwile at cox dot net. Me too, I can't find the printable, I would appreciate it if you could send to me as well. Thank you so much! would love a printable PDF thanks! Did you purchase the wood cubes or make them? 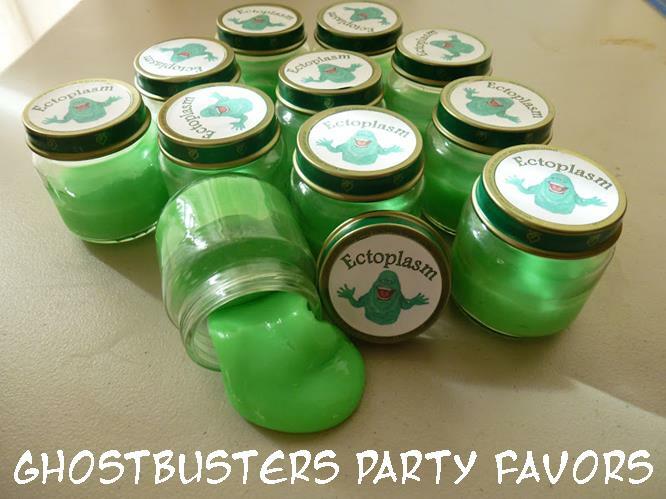 I purchased them at Joann Fabrics for under $5! Did you make more than one cube throughout the bedroom? Did you put different figures inside them? I did make more than just one! 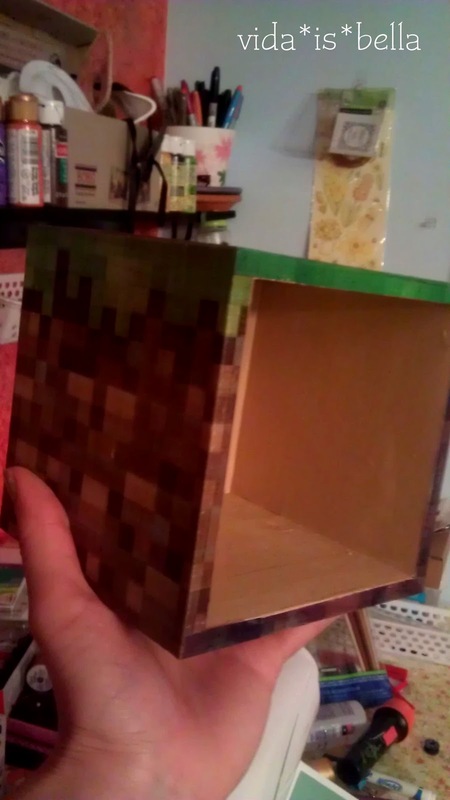 And now that Target sells (incredibly over-priced) Minecraft figurines, we have those housed inside the cubes. 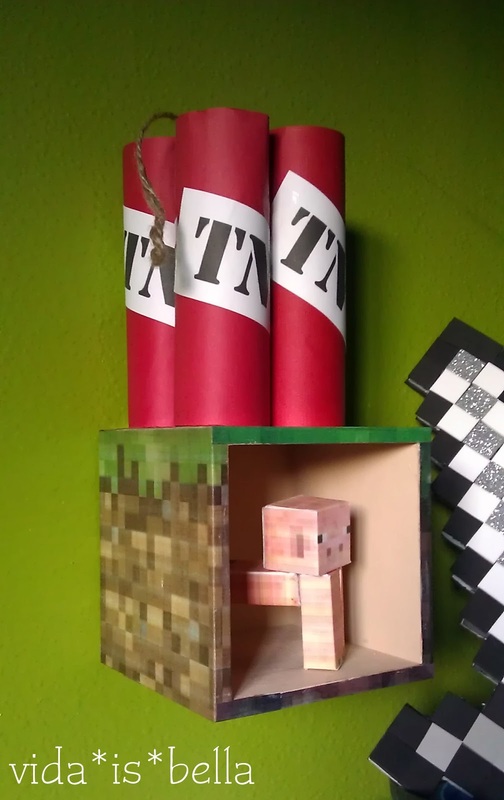 We did however make a Minecraft Torch rather than pay the $30. I will post that soon I hope. Is the pdf file no longer available? 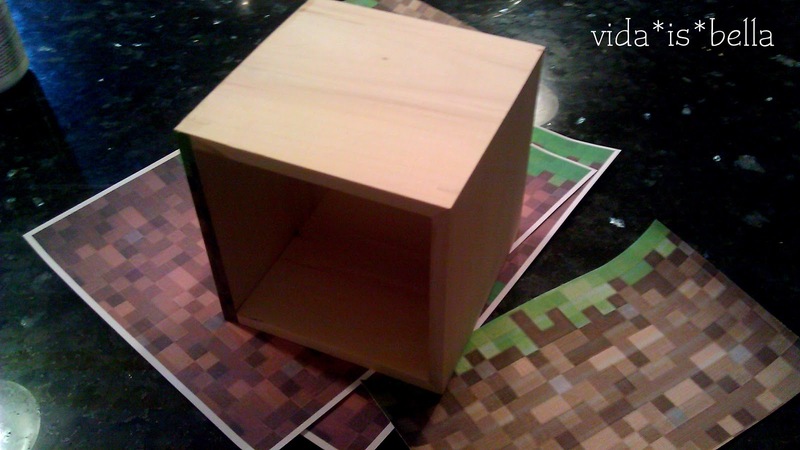 Also can you tell me where you purchased the wooden cube? Thanks!